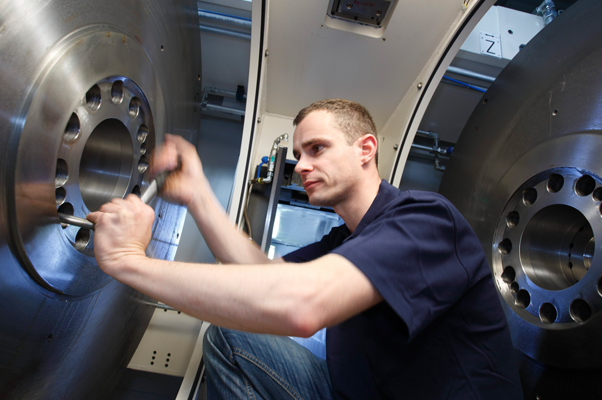 All machine tools are produced to meet our high quality standards. Our customers praise their reliability and long service life. Nevertheless, in spite of maintenance, they do require repair after a certain period of use. Our team of experienced employees and our efficient parts supply service guarantee short down times. We also optimize and update machines depending on age and condition. This provides some machines with a second or even third life. After nearly 50 years of production time in multiple shift operation some are "ready for retirement".